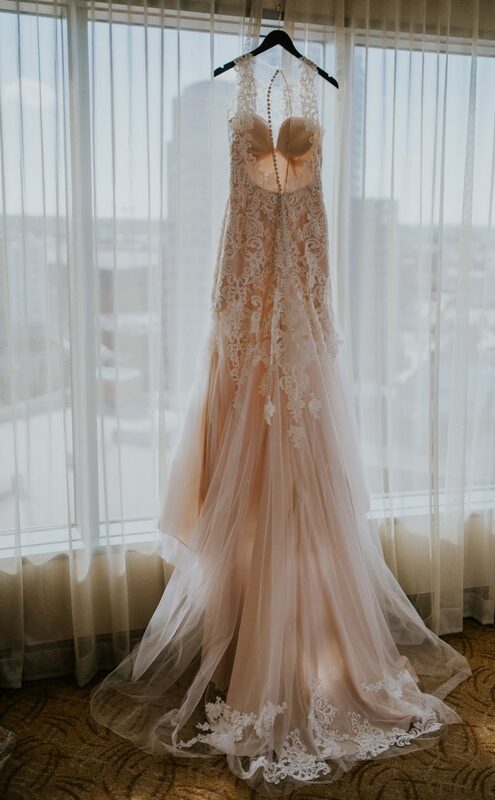 Our first look was really special – we knew the day was going to be crazy & fly by, so to have that time together just the two of us was really meaningful. Also, about a week before the wedding Michael’s dad had a health scare and could no longer make the trip from Washington to Michigan for our wedding. We knew he still needed to be “there” so we figured out a way to FaceTime him during the Ceremony and had him record a prayer that we could play before dinner. It was emotional not having him there in-person but so special that he could still be involved. Having all our friends and family under one roof! Michael and I met in Michigan (where I’m from) and moved all over for about 2 years before landing in Washington (where he’s from). So to have friends and family come from all over the country to celebrate with us meant the world to us. It was also the first time a lot of our family members were able to meet each other. 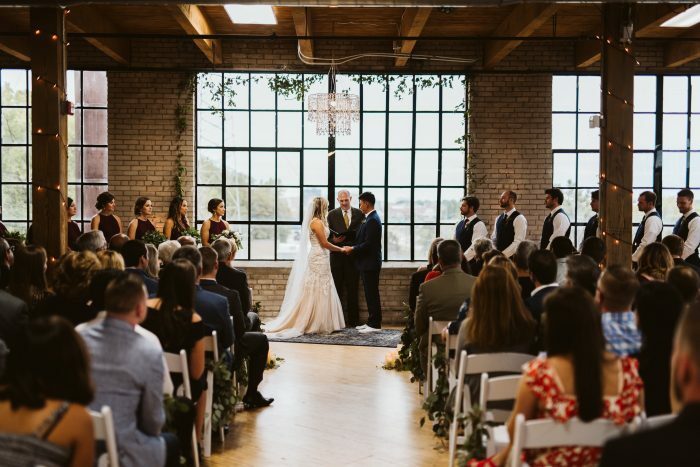 During our ceremony we played a recording of my late-grandmother singing the Lord’s Prayer while we signed our marriage license. 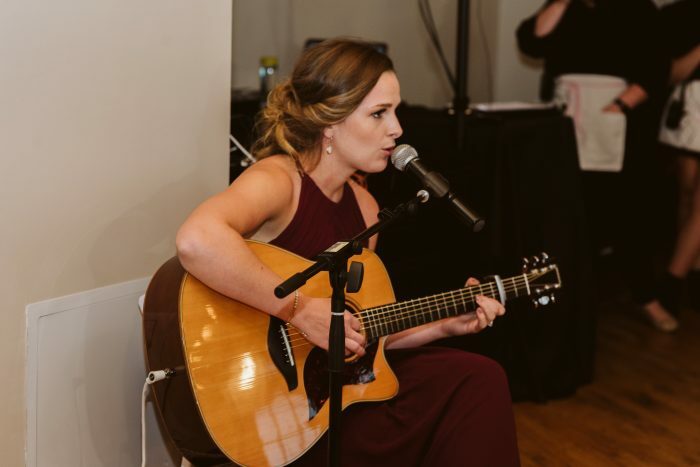 It’s tradition to have her sing at family weddings, so even though she couldn’t be there in-person, it meant a lot to us and my family to still have her play a part in our day. We wanted our day to be timeless but also reflect our story with personal touches sprinkled in. We love to travel and have lived in a handful of different places since we started dating so we incorporated that in to our seating chart and table numbers. Our seating chart read, “Find Your Destination” and each table was designated as a different location accompanied with a picture of us in that place. Then on the table, our wedding planners created beautiful table numbers that were the location name over top of a washed-out, grid map of that location. We also had two signature drinks that represented our fur children. A Fuzzy Taz (fuzzy naval) for our 5 year old shepherd-lap mix & a Whisker Sour (whiskey sour) for my two cats. Our guests know how much we love our pets, so they weren’t surprised to see this personalized detail. Michael has always been a big donut guy so we knew that we wanted to have donuts for our guests to enjoy. That sparked my interest in wanting to have a donut wall. I tasked my mom, step-dad and their friends with building our donut wall and it turned out better than I could have imagined. And our guests loved it! After our wedding we flew back to Washington and took a few weeks to settle back in before taking a mini-moon to San Diego, CA. Michael planned the entire thing and got us an amazing Airbnb right on the Mission Beach boardwalk. We spent a relaxing 4 days on the beach, exploring southern California, renting scooters & eating at all the local places we could find! We also decided to fly in to LAX and drive Highway 1 down the coast to SD – we splurged a little by renting a Mustang convertible (highly recommend!) We are saving money we received as gifts and plan to take an overseas trip in mid-late 2019, either Greece or Thailand! I honestly fell in love with our wedding planners and looked forward to each of our planning meetings. I felt like they really took the time to understand my vision and did the most amazing job bringing it to life. 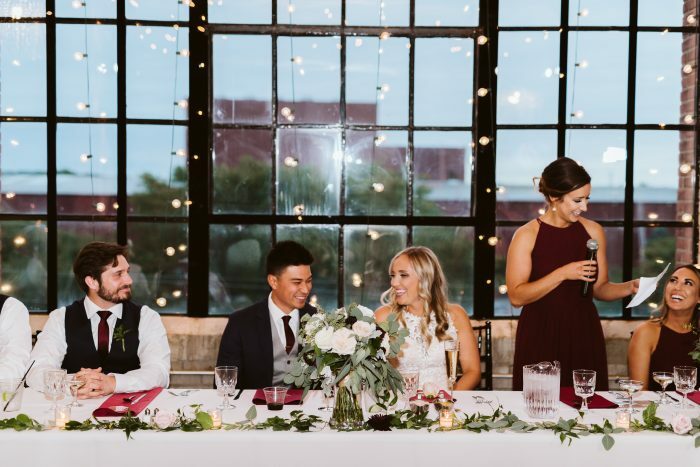 They made the wedding planning process enjoyable and reduced a huge amount of stress that comes with planning a wedding from across the country. Planning long distance didn’t allow us to go to tastings & we booked our venue sight un-seen (I guess we FaceTimed with my mom while she walked through) but we still had a blast planning our special day. I absolutely loved wedding dress shopping with my mom, future MIL, future sister-in-law & my maid of honor. It was a really special weekend and I’m so glad I could share that with some of the most special women in my life. In the near future – we are really looking forward to our big 2019 trip :) Wherever we decide to go! Big picture, we are really excited to buy a house, settle down and start a family in the next 2-ish years. We’re excited to start our own traditions and make more memories together as husband and wife. On the way to our ceremony, we had the party bus stop at our favorite brewery in Grand Rapids, Founders. Michael lived across the street from the brewery when we lived in Michigan so it became a favorite spot of ours for good beer and delicious food (the beer cheese is to die for!) so we knew we wanted to stop by for a quick local brew before saying “I Do”. 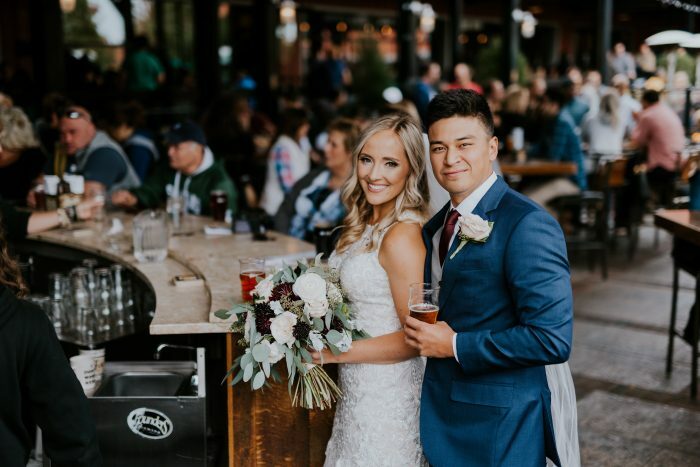 It was fun seeing people’s expression walking in to a brewery in a wedding dress. 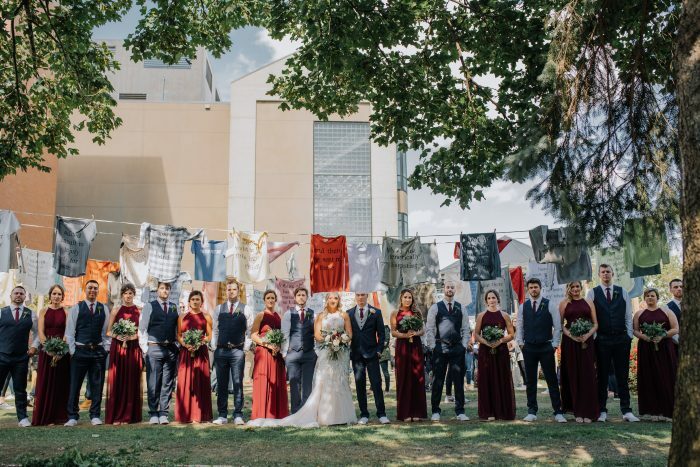 When the world’s largest, open art competition (ArtPrize in Grand Rapids, MI) & your wedding are happening at the same time and you have an amazing photographer – you take epic pictures with art submissions, like this one! 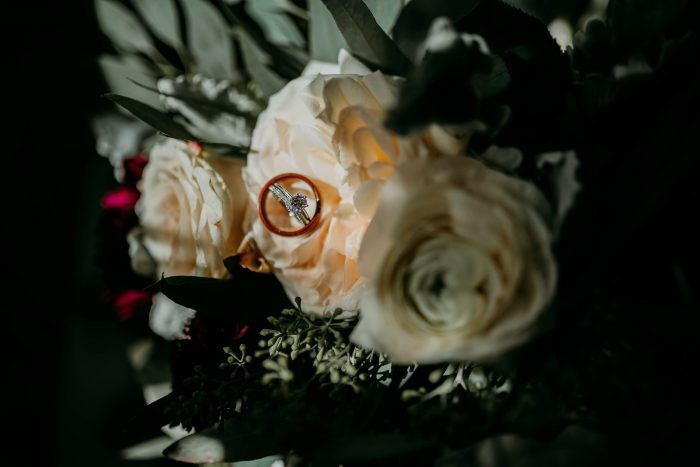 Michael proposed with the most beautiful, solitaire, platinum ring (Ritani) and my wedding band fit perfectly with tiny diamonds wrapped half way around (Blue Nile). Michael loves his wood ring from Northwood Rings – he loves that it’s 100% wood and lightweight. We incorporated lots of greenery in to our floral and decor. The groomsmen boutonnieres and the bridesmaids bouquets were all greenery. 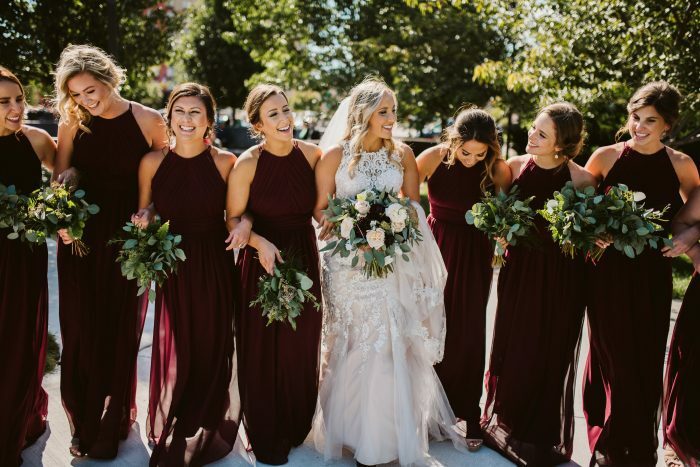 It was a beautiful contrast with their menswear & dresses and accented my beautiful bouquet that had lush champagne roses, burgundy dahlias & ranunculus. The Best Man & my MOHs gave the best, most heartfelt speeches. My Matron of Honor, Kelsey made the whole room laugh & cry (happy tears!) during her speech. One of my best friends/bridesmaids played the guitar and sang our first dance song, Thinking Out Loud by Ed Sheeran. She is so amazingly talented and it was so cool to have her play such a special part in our big day. 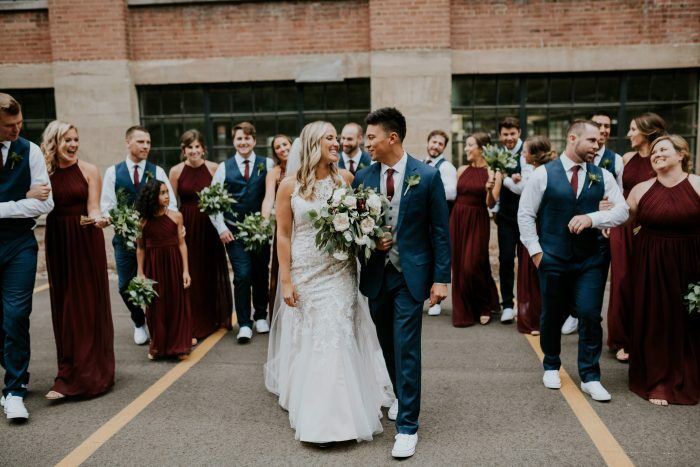 The best day, marrying my best friend with the best people surrounding us!